يوفر فندق فندق نوفوتيل نورث بيتش ظروف إقامة راقية وهو خيار رائج للسياح ولرجال الأعمال أيضاً. يقع في منطقة شواطئ, سياحة من المدينة. يمكن من هنا للضيوف الاستمتاع بسهولة الوصول إلى كل ما تقدمه هذه المدينة النابضة بالحياة. كما يمكن الوصول بسهولة إلى عدة معالم سياحية قريبة. إن فندق نوفوتيل نورث بيتش حريص على توفير الراحة للنزلاء، فلا يوفر الموظفون جهداً في تقديم أفضل الخدمات وضمان حسن الاستقبال. يمكن لضيوف الفندق الاستمتاع بالميزات التالية على أرض الفندق: خدمة الغرف على مدار الساعة, مكتب الاستقبال على مدار الساعة, مرافق مخصصة لذوي الاحتياجات الخاصة, تسجيل وصول/خروج سريع, تخزين الأمتعة. يمكن للنزلاء الاختيار من ضمن مجموعة من الغرف المصممة بعناية لتعكس جواً من الراحة، والتي يتجاوز عددها 204. يقدم الفندق العديد من الفرص للاستجمام كمثل حوض استحمام ساخن, مركز للياقة البدنية, ساونا, ملعب جولف (ضمن العقار), حمام سباحة خارجي. إن كنت تتطلع إلى إقامة مريحة وهادئة في المدينة، فستجد في فندق نوفوتيل نورث بيتش بيتك الثاني. The staff here are really nice and responsive. Whenever I call the reception for something (even at midnight), they will immediately help me. But one of the reasons why I called them so frequently is that, their room is lacking a lot of essentials, such as hairdryer and slippers. The facilities (e.g. swimming pool) here are also a bit old and seems lacking maintenance. Luckily, the beach is so close to the hotel. It's also close to the famous lighthouse there. Our stay was pleasant although rather expensive. When we arrived we were disappointed to find out we were required to pay an extra $AU15 if we wanted secure parking. 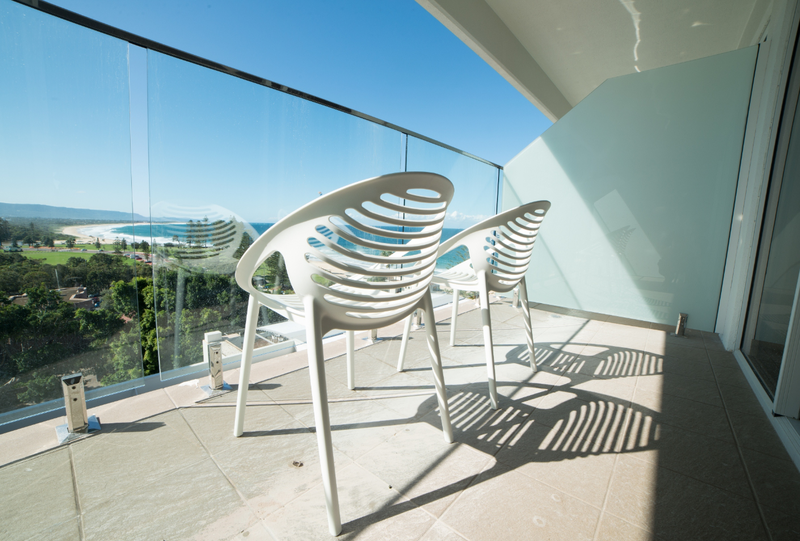 The room was neat, tidy and comfortable with excellent views of either the city of the beach from the higher floors. The buffet breakfast was delicious with wide variety but there seemed to be too many people for the space and we had to wait 5mins to be seated - Extremely busy but well managed. Whilst suffering a life threatening health scare at the hotel, NO ONE answered the emergency, concierge, reception nor external line for over 20 minutes! And this was at 2am. Staff are very junior and have no idea at prioritising calls. When the phone was finally answered and I requested staff to attend my room whilst waiting for ambulance to arrive, they still did not send anyone up. Follow up with this complaint was answered with: we were too busy. DISGUSTING. 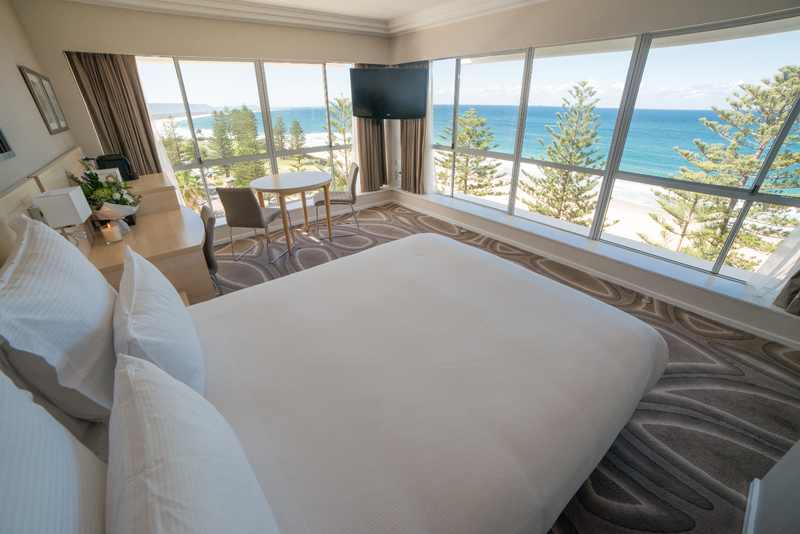 First time visiting Wollongong and chose to stay in Novotel Northbeach. The location is excellent! It is just the opposite of North Beach, walking distance to North Wollongong train station, and there is a bus stop just outside the main entrance. In terms of restaurants, there are not many of them nearby the hotel, might need to walk to the city centre to get more options. 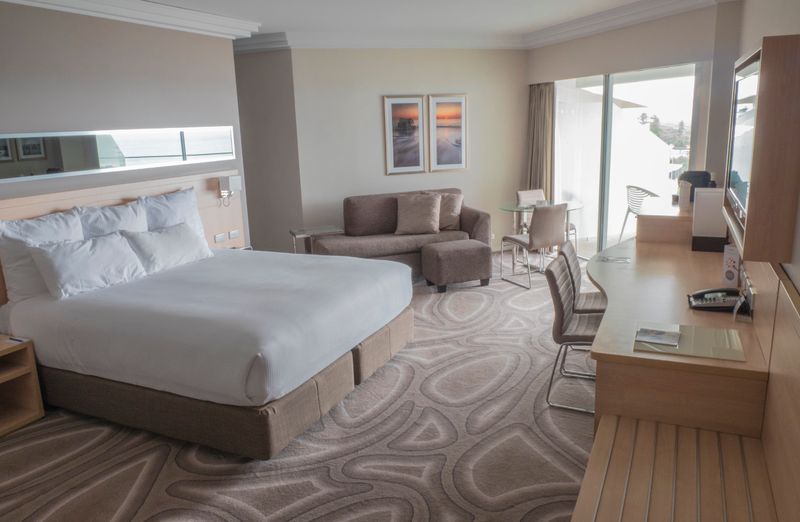 My room was exceptionally clean and comfortable, I had good night sleep throughout my stay. The reception and dining staff were very friendly and nice. 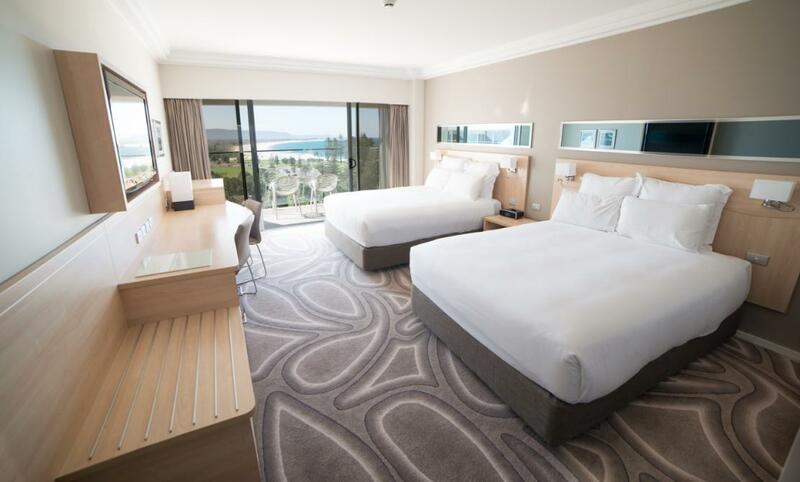 I would highly recommend this hotel for weekend getaway or short family holiday. The Novotel staff made this weekend special. Everyone was friendly and attentive and nothing was a problem. Highly recommended and commended especially Carl, Alana and Michael in reception and Emily in Windjammers. Thank you all. The location is good. The rest is very disappointing! Loud and crowded place. Breakfast was awful and the service was slow and almost absent. Clean room good location across from the beach. Meals lovely and good variety of breakfast. great hotel, friendly staff, disappointed about not getting free wifi, but I assume that is standard practice in Australia? We met the most helpful and awesome staff in this hotel. They did not only recommended activities based on their own experience but made sure that they looked after us really well. Would surely stay there again if am back. The next time I book at the Novotel I'm not going to have breakfast included. The dining area was very crowded and noisy compared to the rest of the hotel. It would be better if we went to one of the cafes close by. There are plenty to choose from. 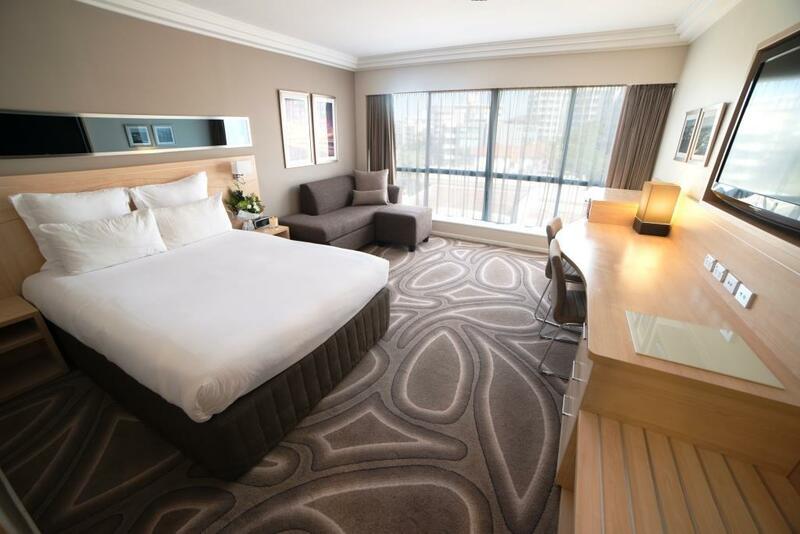 Location is great, bed very, very comfortable, parking facilities after check out. It was a lovely stay, unfortunately the hotel couldn't upgrade us from a city view room to an ocean view room as there were no rooms left for upgrade, considering I paid a good price for 1 night stay in holiday time. Our room was a nice size,the bathroom was big & had been renovated. The hotel needs a refurbishment eg: carpets in the hallways & painting needed, after refurbishment I would grade it as a 4 star hotel (Novotel Brighton Beach is nicer) Staff at reception & the bar couldn't have been more helpful & friendly, wonderful service from the waitress Elise G in the Windjammer Restaurant on Saturday night 9th Jan. Location is great, hotel is opposite the beach. Always a nice hotel especially when you get a view of the beach. Hotel condition was execellent and comfortable, food and restaurants were as expeted, no surprises. Overall a good hotel that I would definitely stay at again. A lovely hotel with a nice beachfront just across the road. The buffet breakfast spread was good with a nice view of the beach. The room was big and clean. The negative part of this hotel is, stay in guest must pay $15 for parking in the underground carpark. Pretty ok view from the window if you're facing the sea. Hotel is beside a free shuttle bus, and beside a road leading to the Great Pacific Drive. Slot machines room at ground floor for entertainment, with a friendly staff member. 30min walk from CBD. Hotel is beside a free tourist bus, and beside a road to the Great Pacific Drive. Room is ok, standard hotel quality. Ground floor has slot machines to play, with a friendly staff to chat with. CBD area is about 30min walk away. 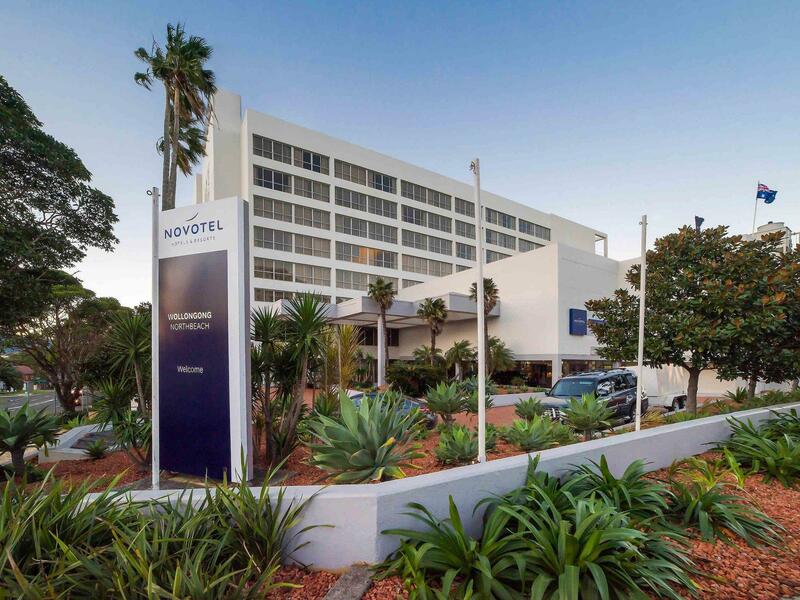 Novotel Northbeach is a fairly standard 3.5 star hotel/motel, not quite 4 stars. The room was dated. The bathroom was old, had some grime on the tiles and an old shower curtain. Also, my partner and I found the bed mattress quite comfortable but the sheets and blankets very thin. However, it was clean and had a lovely view of the beach. We also had complimentary breakfast - the offering was mostly your "big breakfast" items (bacon, eggs, sausages etc) but it was delicious. The location is perfect if you're there for the beach (which we were) but it's not exactly central to Wollongong's main streets. You still need to drive to get anywhere, and there didn't seem to be many shops or people around the area either. The attentiveness of the staff should be complimented. When asking reception for bathroom extras (e.g. toothpaste and toothbrush), they were very friendly and very quick to assist. 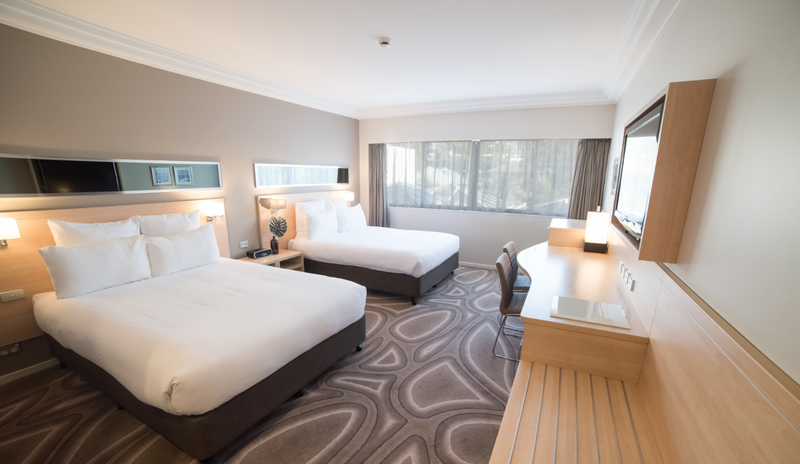 Overall, a decent stay if you can get a good rate. Not convinced that this hotel is worth the $200+ a night though.